Call to reserve yourself a spot asap as seats fill up quickly! You can pay over the phone (which I'd recommend) or you can pay the day of (but plan to wait in line). Arrive early as parking is limited. Pat Graham is a "retired" General Board member who helped put together The Children's Songbook. 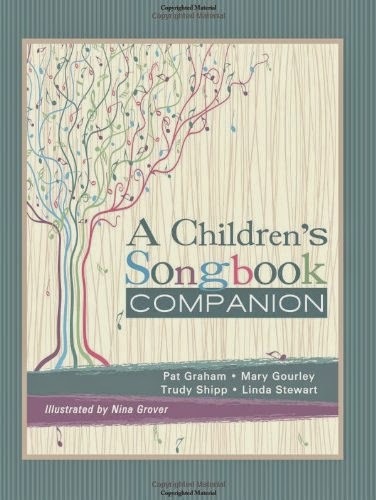 She, and along with a few other board members, also created A Children's Songbook Companion (find details about the book HERE) which is a very valuable tool. She has a great teaching technique and always has some fun ideas of how to teach the current year's primary program songs. You can also find more information from her blog HERE. 2 years ago I received special permission to record her workshop. If you are interested in viewing it, you can find details HERE. I won't be recording it this year, but I'll try to post my notes. I always end up using a few of her ideas throughout the year so stay tuned for those as well! If you see me there, please come and say hi! !